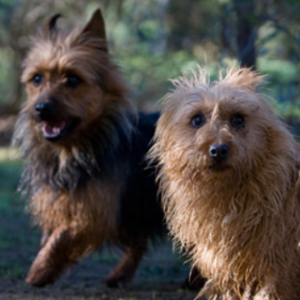 These tenacious little dogs have enormous courage. 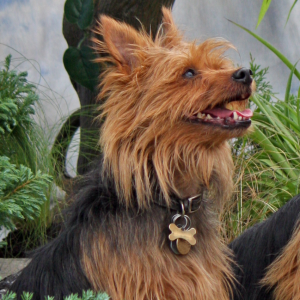 Spirited, active, clever, and curious dogs. Often good with children. 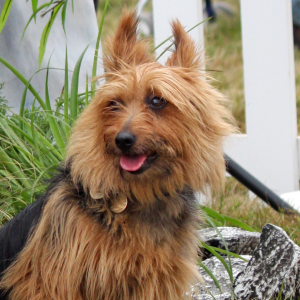 As is the case with other Terriers, might not get along well with other dogs. 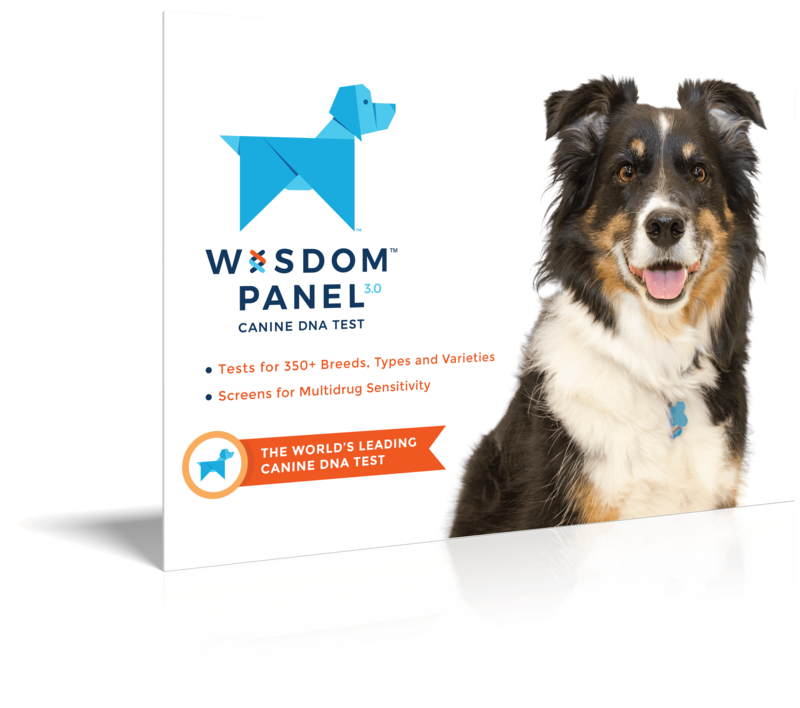 Quick learners and enjoy dog sports such as earthdog trials, agility, tracking, flyball, rally obedience, Frisbee and musical canine freestyle. May engage in chasing or hunting wildlife, digging, being tenacious or difficult to disengage from an activity, and barking. 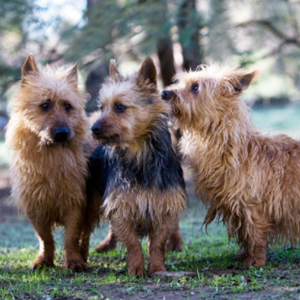 Despite being one of the smallest of all the working terriers, these tenacious little dogs have enormous courage. Early settlers in the new continent of Australia originally bred them to face down mice, rats, snakes, foxes – and any other predator that threatened their livestock. 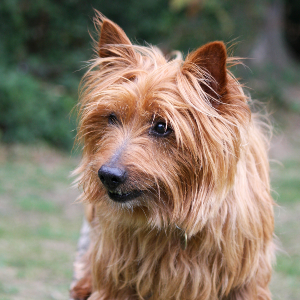 The first breed from Australia to be recognized in the United States, the Australian Terrier is the offspring of several breeds. 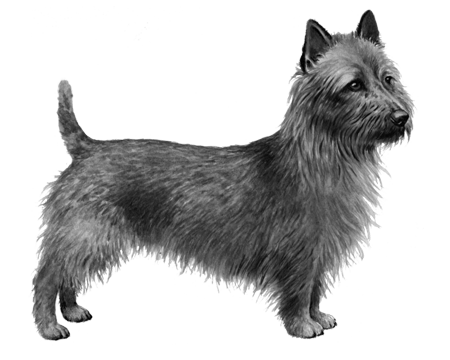 These include the Rough-Coated Terrier and a close relative of the old Scotch Dog of Great Britain. Their reputation for being fearless warriors meant they were once even used to guard gold mines. Today, they’re as good as gold when it comes to being family pets too.